We’re redirecting our content primarily to Facebook and Twitter for now, so follow us there for more JW Justice updates! Want to contribute? We’re looking for folks to be a part of our social media takeovers, and have an opportunity to post about the justice topics that you care the most about. 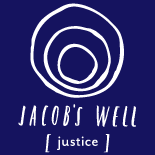 Email justice@jacobswellchurch.org to get involved. This entry was posted on March 29, 2016 by jwjustice in News.